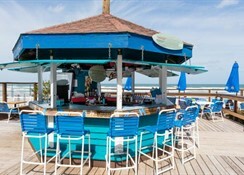 As its Spanish name suggests, La Playa (the beach) is situated directly on Daytona Beach. 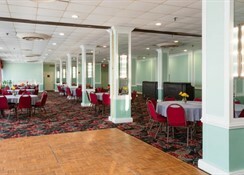 With its 238 attractive, comfortable guest rooms and full service ammenities, a fabulous vacation awaits. 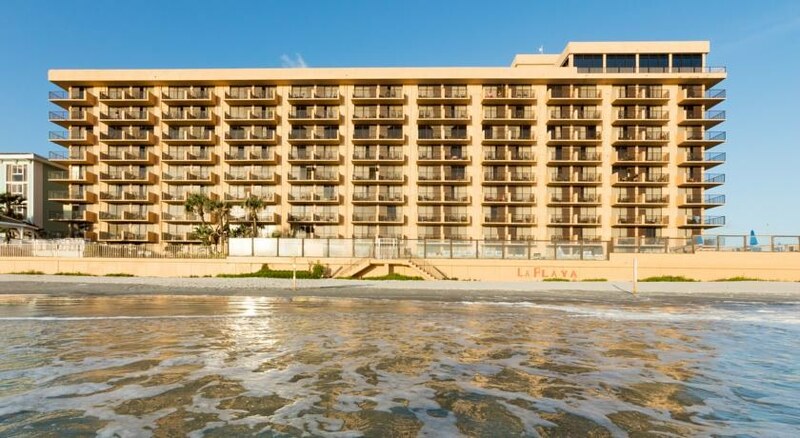 RESORT FEE: A daily Resort Fee of $10.60 per room (subject to applicable taxes) will be charged direct upon check-in unless booking a room type that specifically states the fee is included or optional. (Fee is subject to change without notice) NOTE: La Playa Resort & Suites requires all occupants to be a minimum of 21 years of age. Guest under the age of 21 must be accompanied by a parent or legal guardian. Valid government issued photo identification will be required as proof of age. 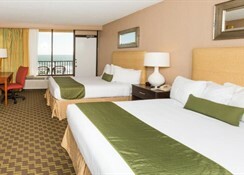 The popular La Playa Resort & Suites enjoys an oceanfront setting directly on one of the world's most famous beaches, the seemingly endless, 37 km long sandy stretch of Daytona Beach. It is located just next to Bellair Plaza, and attractions such as the Oceanside Country Club, Daytona Lagoon or the Museum of Arts and Sciences are within easy reach. Daytona Beach International Airport can be reached within a short drive. The hotel offers cosy and comfortable accommodation with stunning beach and ocean views. 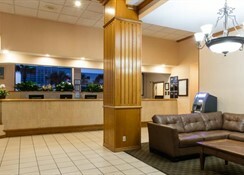 The guest rooms feature high-speed internet access, premium-cable TV and private balconies. Other services and amenities of the hotel include an oceanfront outdoor pool with poolside bar, a children's pool, a breakfast restaurant as well as 350 m2 of meeting facilities and an outside gazebo, ideal for weddings. The penthouse lounge houses a Comedy Club. 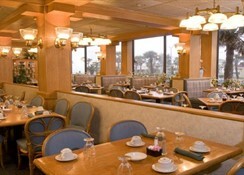 This hotel is a great choice for families and groups of friends going to Daytona Beach.